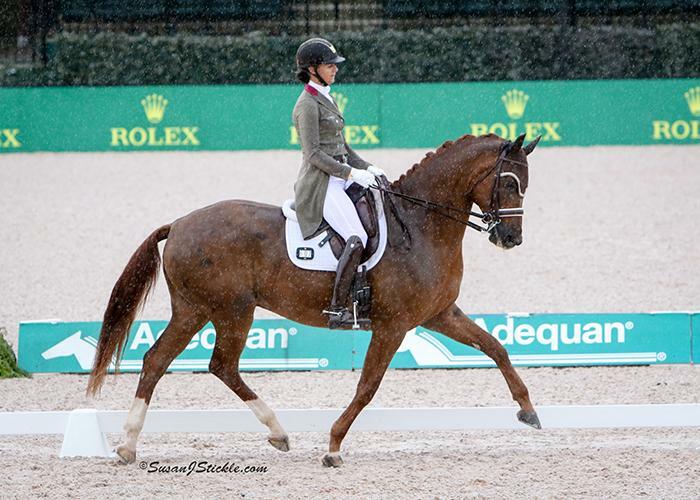 Mill Spring, NC – April 23, 2017 – Heather Blitz (USA) and Praestemarkens Quatero made an impressive FEI CDI debut in Small Tour competition at the Tryon Spring CDI 3* presented by Adequan® at Tryon International Equestrian Center (TIEC). Blitz and Praestemarkens Quatero received a 74.250% to secure the win in the FEI Intermediaire I Freestyle CDI 3* presented by Adequan®. Christilot Boylen (CAN) and Rockylane took second place with a 72.600% while Ashley Holzer (USA) and Radondo finished in third place with a 71.775% on the final day of competition. Blitz and Praestemarkens Quatero, a 2009 Danish Warmblood gelding (Quarterback x Rohdiamant) owned by Blitz, made their first FEI CDI appearance this week, taking all three classes in the Small Tour including the FEI Prix St. Georges, FEI Intermediaire I, and FEI Intermediaire I Freestyle. Blitz has had the ride since 2015 and has taken her time solidifying their communication and understanding together before pursuing a competition schedule. Blitz has been working patiently and diligently, earning the trust of Praesemarkens Quatero, who she feels has an immense talent and strength that will make him a top mount in the future. While it’s taken time for Blitz to feel completely confident in bringing the gelding out, over the past month he proved that he was ready to be tested in a larger competition atmosphere. Heather Blitz in her presentation ceremony with judge Jane Weatherwax (USA). It was an instant connection for Blitz when she tried the gelding in Europe and has really seen their relationship blossom over the past year. His steady and willing demeanor helped the pair pull together one of their best performances together to date. Having worked with renowned freestyle choreographer and composer Marlene Whitaker for over a decade, Blitz felt confident that the pair’s music selection would show off the quality of Praestemarkens Quatero’s movements and expression. Whitaker helped Blitz pull together the routine, which was only completed two weeks ago for the pair to begin practicing. 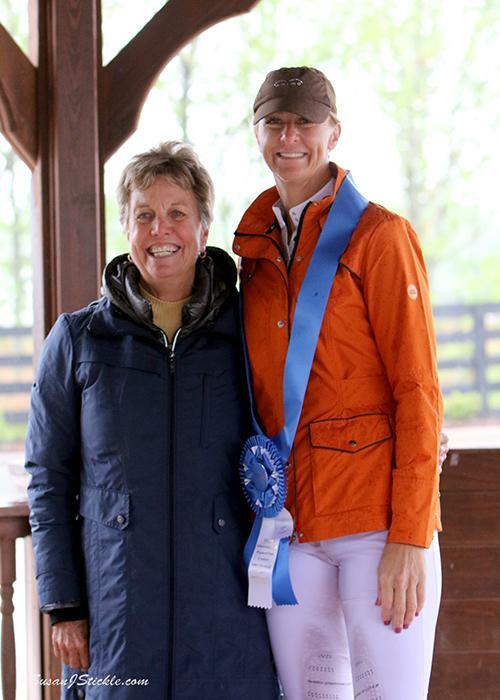 To see a full list of results from the Tryon Spring FEI CDI 3* and to learn more about TIEC, please visit www.tryon.com.